I have worked at Mulberry Court for 3 years. 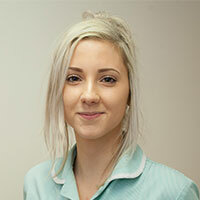 I first started as a receptionist, then completed my Veterinary Care Assistant qualification and am now a Student Veterinary Nurse at Writtle College. I have a pug x sharpei called Frank who I adore!